David Schuster, Senior Director of Software Product Management at Motorola, has been providing us with some of the best information relating to updates of Motorola phones. Yesterday, Schuster's Google+ account revealed that the second-generation Motorola Moto G has started to receive Android 5.1 in China. For those unfamiliar with the device, the second-gen Moto G features a 5-inch LCD screen carrying a 720 x 1280 resolution. This works out to a 294ppi pixel density. Driving the handset is the Snapdragon 400 SoC, which contains a quad-core 1.2GHz CPU and the Adreno 305 GPU. 1GB of RAM is inside along with 8GB of internal storage. If you need more memory, a 32GB capacity microSD slot is available. The rear-facing 8MP camera has an aperture of f/2.0, which allows for quality photographs to be snapped under less than optimal lighting conditions. The 2MP front-facing camera snaps selfies and handles video chats, and keeping the lights on is a 2070mAh battery. The update prevents a stolen or lost handset from getting unlocked until the rightful owner signs into his/her Google account. With Android 5.1, even a factory reset won't unlock a stolen phone. There are also improvements to both battery life and the 64-bit ART runtime compiler. Updating the latter will allow apps to open faster. Android 5.1 also improves the management of RAM, allowing for smoother multi-tasking. Hopefully we will see the second-gen Moto G updated to Android 5.1 soon in other countries as well. 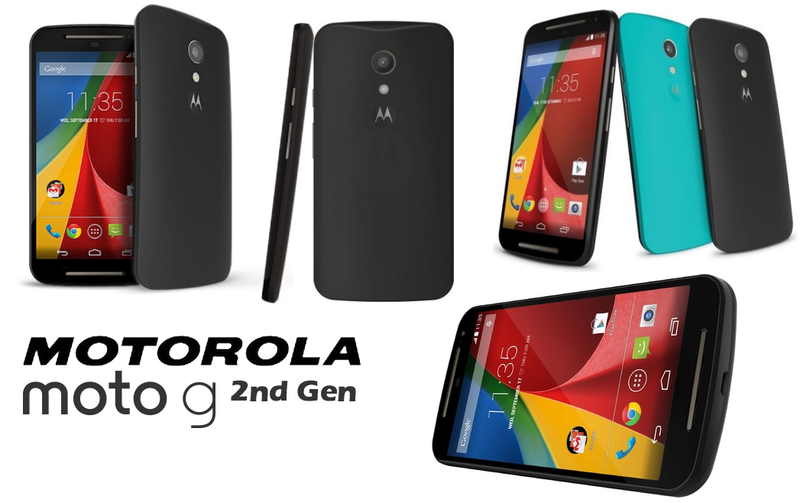 As we wait for that to take place, the third-generation Motorola Moto G is expected to be unveiled on July 28th.